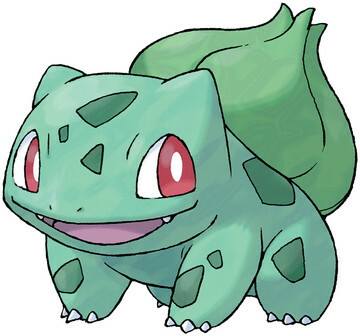 Bulbasaur is a dual grass/poison type pokemon and one of the kanto starters. It was the fourth pokemon caught by ash. Its the first Pokemon in the Kanto and National Pokedexes.